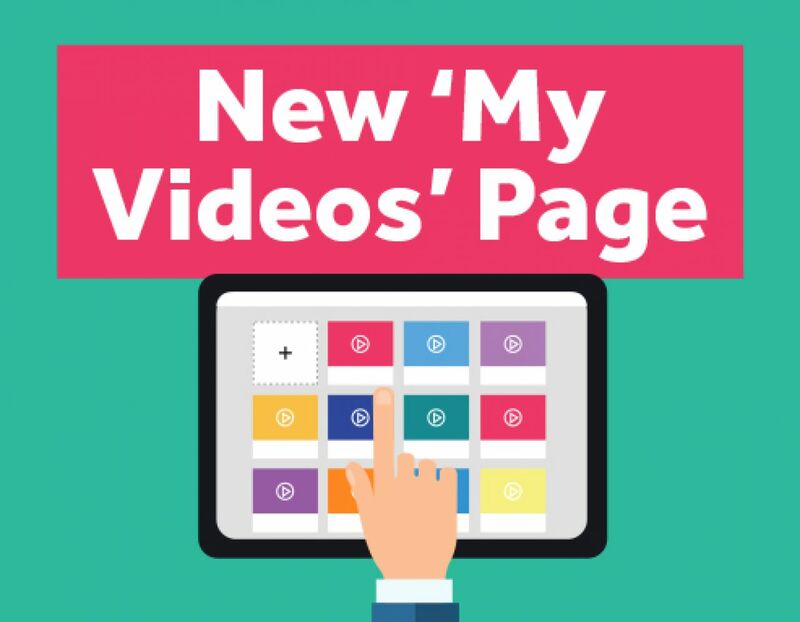 We’ve gone and redesigned the “My Videos” page. 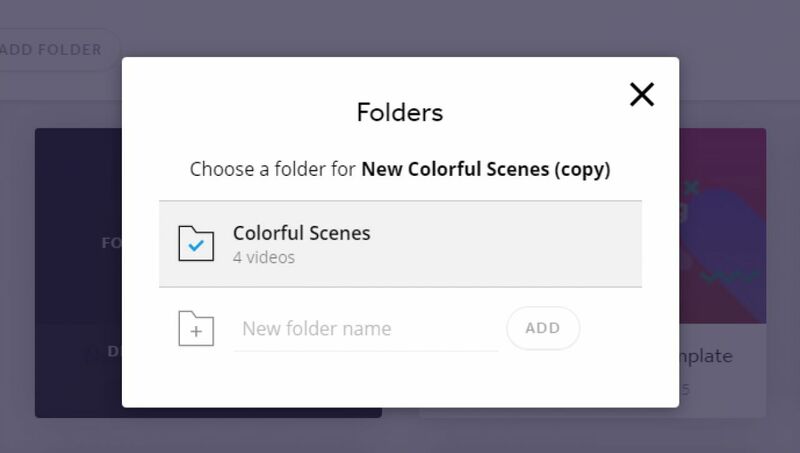 Organize your videos better by putting them in folders. 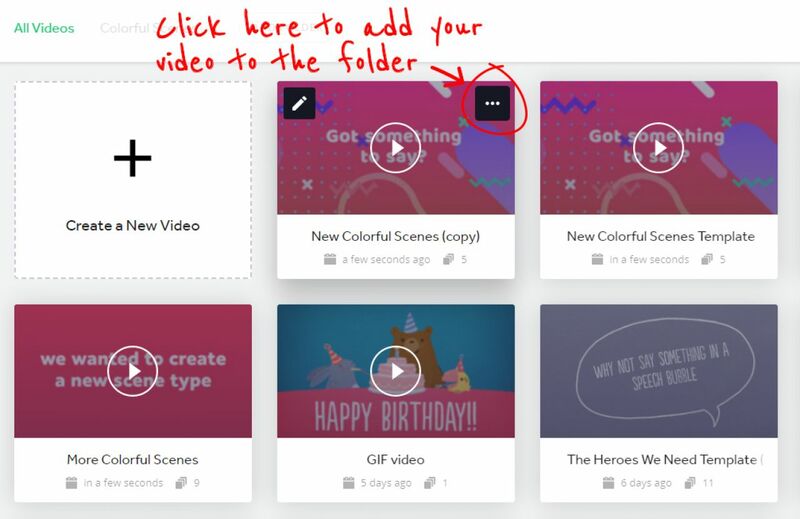 Preview your video more quickly. See your video more easily with bigger thumbnails. Be more attracted to the page because it just looks nicer. 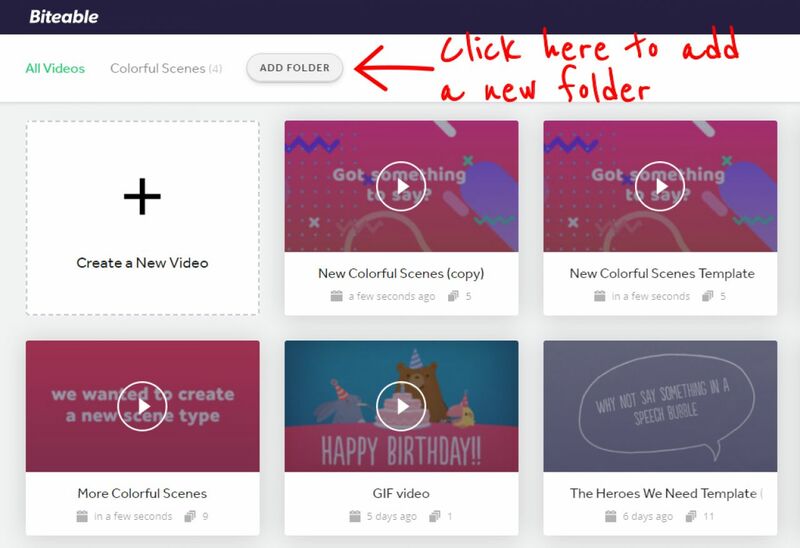 Now, add your video to the folder you want it in. Once it’s in the correct folder, you can select the folder by clicking on its name at the top of the screen. And that’s it! We hope this will speed up your workflow, and hey! If you have any ideas for new features, please contact us on our support channel (click on ‘Support’ in the top right-hand of your screen when you’re logged in), and let us know what you’d like to see Biteable do next.